Should most Silicon Valley companies skip the planning process? Definitely not. Here are six good reasons why they still need a business plan. Silicon Valley is a crazy place. I’ve lived and worked there, first through the late 90s and the dot-com bubble while I worked at Yahoo!, and then again helping to start a company that eventually got bought by eBay. As the dot-com bubble was bursting, I left to work in the U.K. and founded a company there. I’ve opted not to return to the Valley for various reasons, but still have plenty of friends who work there and return regularly for business meetings. Silicon Valley truly is an insane place that is like no other on earth—and it gets crazier every time I go back. With my background, I was especially excited to see Mike Judge take on Silicon Valley in his new HBO series, skewering its culture with the same sharp wit that he applied to corporate America in Office Space. So far, he hasn’t disappointed. “Silicon Valley” (the show) has proven to be both entertaining and simultaneously very true to life in the Valley. Episode two in particular struck a chord with me. Since I’m in the business planning business, it was great to see billionaire investor Peter Gregory ask Richard, the entrepreneur and protagonist of the show, for his business plan. Dejected, Richard goes home and starts reading about business planning on Wikipedia. There’s a bit of an inside joke here. A lot of Silicon Valley companies have gotten a lot of press lately claiming that they—and you—don’t need a business plan. Just start building something quickly and if it doesn’t work out, pivot, they say. Meaning: You can always change direction later if your initial idea doesn’t pan out. The “build and then pivot” model can work, if you have a huge amount of venture capital in the bank and can afford to make expensive mistakes. But should most Silicon Valley companies skip the planning process? 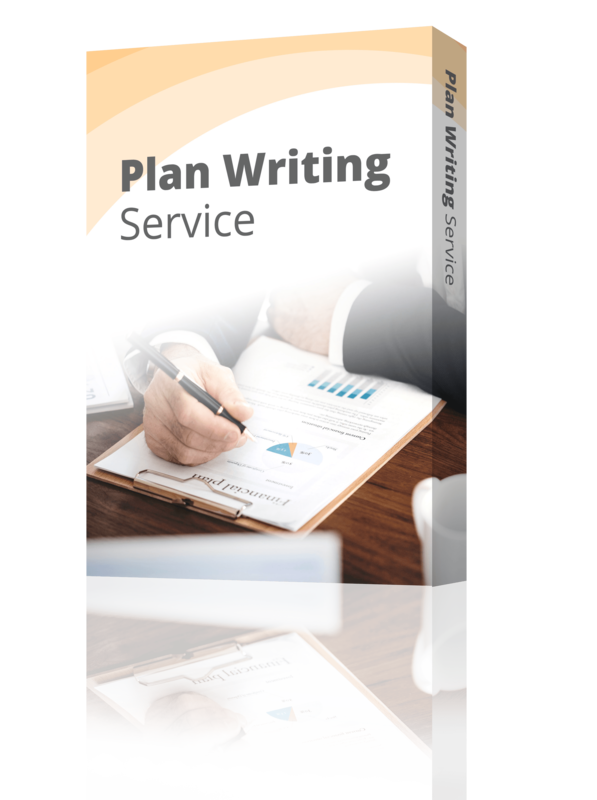 Writing a business plan forces entrepreneurs to describe their business in everyday language that anybody can understand. Business plans need to be as short as possible and entrepreneurs need to be able to describe what the company does, who the customer is, how they’re going to reach the customer, how they’re going to make a profit, and more—all in just a few pages. I always advise entrepreneurs to start with a simple pitch to refine their value proposition and document their ideas in as few words as possible. As the pitch gets refined, use the business plan to document additional details that don’t fit in a simple one-page pitch. Even if the business plan never gets shared, the process of creating it forces entrepreneurs to think through all aspects of their business so they can be prepared to discuss their idea in detail. Starting any business is risky, but writing a business plan can help reduce that risk. Business plans reduce risk by forcing entrepreneurs to document not only what they know about their product and their target market, but also what they don’t know. A good business plan is essentially a list of assumptions that need to be validated. A business plan is an essential tool to use as a checklist of assumptions that need to be proven. Does your target market like your product or service? Are they willing to pay what you assume they will pay? Does your go-to-market strategy work? How can you test it? If you use your business plan this way as opposed to a rigid roadmap, you will greatly reduce your risk of failure. Even the best ideas still need to make money at some point. Writing a business plan involves thinking through your financials. How much is it going to cost to deliver your product or service? How much money do you need to make from each customer in order to just cover costs? What do you need to do to make a profit? Working through the financial models answers these questions and can help determine if your business is capable of being a financial success. Whether you are raising money from venture capitalists on Sand Hill Road in Silicon Valley or headed to the local bank for an SBA loan, you need to know how much money to ask for. Do you need ten thousand dollars, or ten million? Without a plan, you don’t know. Creating a plan can help you figure out how much money you’re going to need from investors before your company can sustain itself with profits. When you’re starting a new company, you need not only to explain your concept to potential investors, but also to make sure your partners and employees are on the same page as you. By writing your plan down—whether you do so in a Word document or in a Powerpoint presentation—you have something that you can share with your team so that everyone is pulling in the same direction. Without shared goals, entrepreneurs can waste countless hours as their team moves in different directions. Finally, working through a business planning process forces you to answer the hard questions: Who exactly is your product for? How are you going to market to them? What will the sales process be like? How much money do you need? Who is going to be on the team? What does the cap table look like as you bring on new investors and team members that have equity? A solid planning process forces you to answer these questions. While you may not even end up sharing your plan widely, going through the process of thinking about and answering the tough questions will prepare you for investor meetings and other conversations with your team about your vision and the future of the company. Business planning has changed greatly in the past decade. Gone are the days of long, detailed business plans—the modern business plan is short, focuses on documenting key assumptions, and provides a roadmap for validating those assumptions. Starting a business without a plan, even in Silicon Valley, is like getting in a car without a map and a destination in mind. Planning helps determine the destination, even if the exact route to get there isn’t quite clear yet. I wish Richard of the “Silicon Valley” series the best of luck as he navigates his fictional entrepreneurial journey, and can’t wait to see how the series ends up! Recommended watching for entrepreneurs and anyone just looking for a good laugh. Want help planning your business, but prefer to go to the pros? Check out LivePlan’s business plan consulting—you’ll get an MBA-written business plan in five business days.